Back in early December, I received a box from Amber in Australia that contained the following. 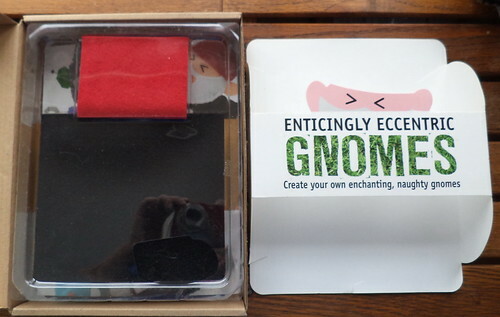 Over the weekend, I decided to open this up to see just what was involved in creating a gnome. Here is the top layer of the box. 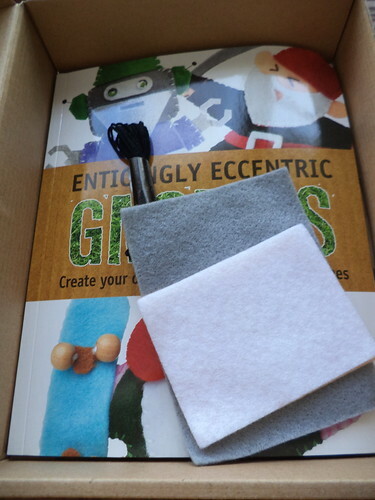 The kit contains felt and black embroidery floss. What's really exciting is the book. 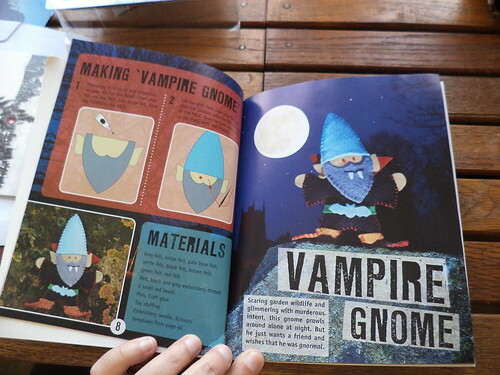 There are eight different gnomes I can make. The Vampire looks hysterical. Or perhaps, Avast, me hearties! I be a pirate. I could go with the regular garden variety gnome. He comes with a fish. The best part of the book is that all the patterns are included. 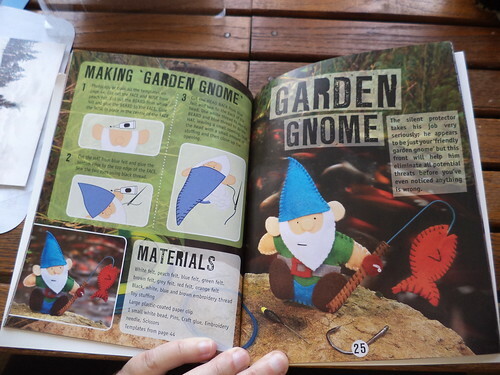 So after I've made the gnome of my choice, I just need to get some felt and I can make all the other gnomes. Do you know what this means? 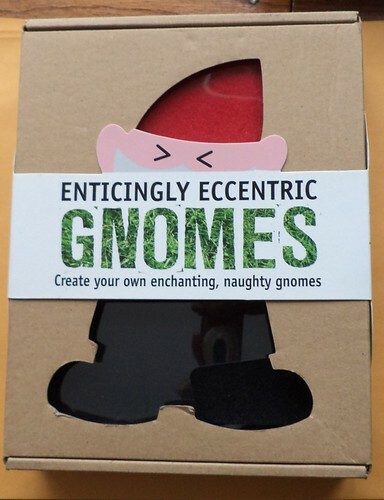 If I could get my act together and get crafting, I could make gnome ornaments for Christmas. 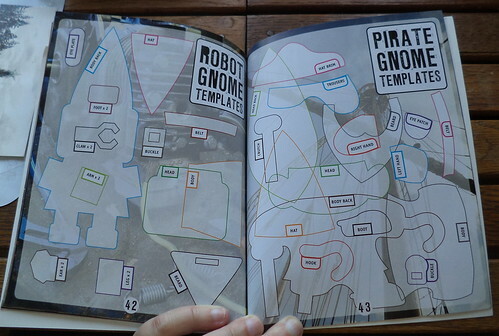 If I were really crafty, I could take the basic gnome pattern and make gnomes of other professions. Cooking gnome anyone? I'm not that crafty but a gal can dream. I have opted not to join the Valentine exchange. I have a major project I need to do and making Valentine's just won't fit into my life right now. Part of me is sad, but a big part is reasonable. I have a tendency to over-extend myself at times. I am being realistic when I don't think I'll be able to finish Valentines. I set the build a gnome aside for the moment. Other things occupy my attention, but I will be back. 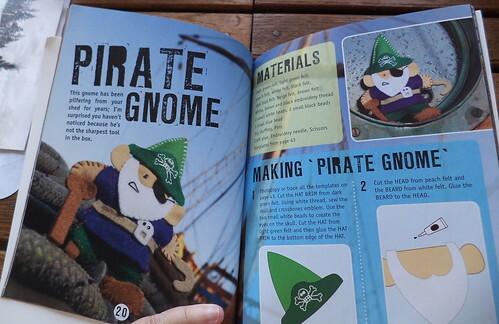 I just can't decide which gnome to make first.